Pilonidal sinus disease (PD) is a chronic condition involved in natal cleft. Excision surgery carries equally morbid course of recovery to that of disease itself. Minimally invasive treatments therefore have been developed to minimise morbidity and improve healing rates. This review looks at the literature on effectiveness of endoscopic pilonidal sinus treatment (EPSiT) and compares that of the other minimally invasive techniques in practice. MEDLINE, EMBASE, Cochrane and CINAHL databases were searched to look at the peer-reviewed articles on minimally invasive treatments on PD. Primary endpoint was to determine complication rates. Data were pooled using random effect model. Heterogeneity among studies was estimated with χ2 tests. Statistical analysis was performed with Review Manager Version 5.1.2. Out of 371 papers, ten were retrieved for full appraisal. One randomised clinical trial (RCT) and four case series presented retrospective data on EPSiT. Five RCTs were on alternative minimally invasive treatments. Complication rate, return to work, wound healing rate and pain scores were superior in minimally invasive treatments compared to excision surgery. There was no statistically significant difference in complication rate or return to work in EPSiT compared to that of alternate minimally invasive techniques. 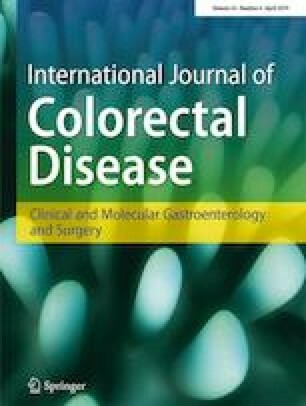 Minimally invasive treatments of pilonidal disease were found to be safe and effective compared to conventional techniques. It is also demonstrated that EPSiT is a safe alternative with a low short-term complication rate. Further randomised controlled trials are required to more accurately define its effectiveness and closely evaluate the side effect profile.